The highly experienced and well-respected Danish and UK based Anaerobic Digestion and Biogas Plant design and build contractor Xergi, has provided useful information on their website about achieving the efficient design of every AD Plant. This guidance is in the form of a discussion of the 5 most vital design factors which in their experience it is essential for every AD Plant design to get right, for successful operation. We have been given their kind permission to repeat these 5 points here, on our blogsite, for the benefit of our readers. So we recommend that all of our readers note each point carefully, particularly since the information comes from such an experienced company source. 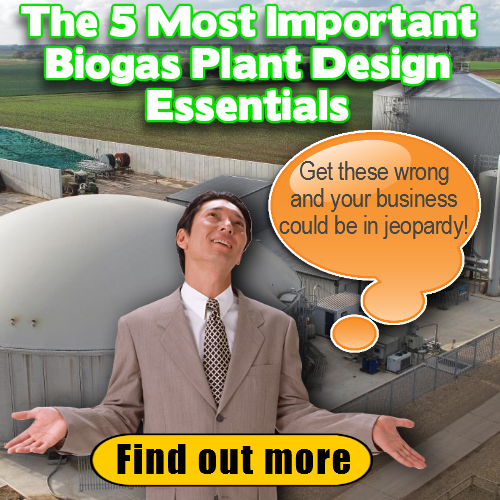 If you prefer to view this on the YouTube website click here for this Xergi Biogas Top Design Success Factors video. If there is one thing for certain about biogas plants it is that the customer’s requirements will continuously evolve throughout the life of any biogas plant. It is difficult, if not impossible to anticipate many of those changes, so the flexibility to alter biogas plant configuration to suit feedstocks as needed and in a manner which suits the client’s particular site requirements, is essential. Even though the set-up for each client is carefully customized for each project, the design must incorporate a level of versatility that will ensure that the configuration of the equipment can be changed to maintain efficient operation. This must allow both for biomass inputs which continually vary, and as the marketable output products also change according to demand and new technological developments come available. Xergi considers this so important that they have developed a special module within biogas plant that ensures that all the biomass constituents will be adequately pre-processed despite continually varying feedstock sources and composition. The module has to be able to provide a high degree of control, in order to achieve a high level of process efficiency, without unnecessarily limiting the plant operator’s choice of biomass source/ type. Xergi applies a design philosophy which, which involves plants running at the highest feasible process temperature. 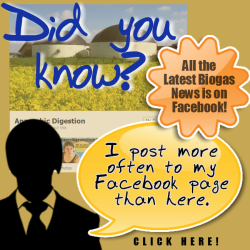 By doing so, it makes it possible to take the fullest advantage of the natural ability of the micro-oganisms to ferment the substrate within their digesters at the highest possible biogas (methane) producing potential. Reactor design needs to include a stirring and agitation system which gets as close as possible to providing a completely stirred reactor. Xergi has developed their own technology for this. It is optimized for low energy use to minimize the draw on the plant’s own electricity generation. The importance of this lies in keeping operating costs low while producing high gas production rates for the feed material utilized must never be under estimated. Xergi uses a remote controlled SCADA monitoring and operating system at all their anaerobic digestion plants. All indications of plant status are viewable, and access to all operating system adjustments are available, via a smartphone app. This is important to ensure that the gas production process is kept within stable (high efficiency) reactor conditions. And, can be accessed at any time to ensure the smooth running of their plants, which normally run day and night 365 days a year.